Employing paint and acrylic plexiglass, Park Byung-Hoon creates a unique synthesis of geometric and ethereal forms. Stylistically comparable to the Minimalist movement and approach of the 1960s, Byung-Hoon’s work engages the audience in an exclusive dialogue, affording viewers a singular opportunity to interpret independently from suggestions. 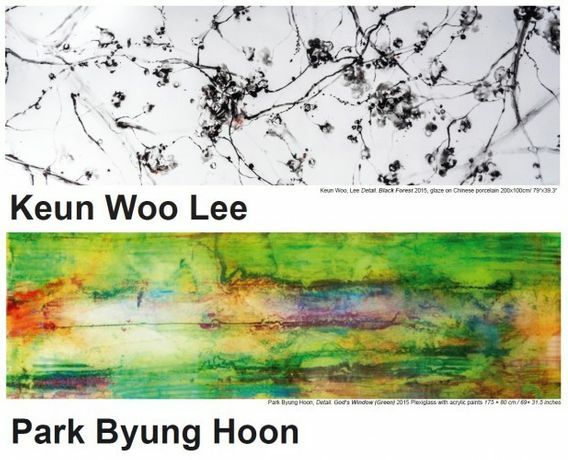 Abstraction is courted, yet ultimately tempered in the work of Keun Woo Lee. Traces of figuration persist; plants, flowers, and other elemental features of landscape remain visible in Lee’s creations.